In a strange and distant world you will have to lead a bionic vegetative growth enterprise. 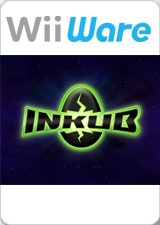 The objective of Inkub is to defend an incubator containing a growing specimen. To do this, you will be provided with different weapons and powers that will help you destroy, pause, or block these enemies. These threats will try to enter the incubator through the Plasma tubes that connect it with the life-giving energy that makes them grow. The graph below charts the compatibility with Inkub since Dolphin's 2.0 release, listing revisions only where a compatibility change occurred. 3.5-430 Windows XP Athlon II X2 215 @ 3.6GHz NVIDIA GeForce GT 440 Completed about 10 rounds. With HLE all SFX is missing - only music playing, get 41-45FPS in game. With LLE-recompiler sound is shuttering, 34-37FPS. †.fl.l). This page was last edited on 12 January 2018, at 13:42.